JH: Today, we have something different in the process department. 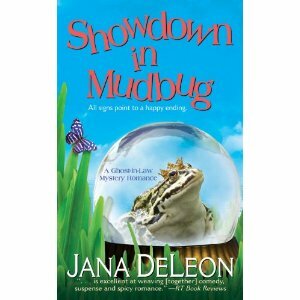 Jana DeLeon, author of Showdown in Mudbug talks to us about what it's like to be a pantser. Jana is a former CFO who jumped off the corporate ladder to write books. Today, she writes boring training manuals by day and murderous fiction by the dawn’s early light. She writes the popular Ghost-in-Law series, and her newest Harlequin Intrigue, The Secret of Cypriere Bayou, is in stores now. Let me just say up front, that you should NOT do this at home. I am a pantster. I don’t mind being a pantster, but agents and editors want proposals, and proposals equal a synopsis. Ugh. And that’s the most polite thing I can say about the synopsis. My books come to me in the form of one idea–one big “what if?” Then I think about the absolute worst type of person to put in that situation and the absolute worst person to force proximity with during that situation. Instant conflict–both external, internal and romantic. Unfortunately, that’s where my genius ends. You see, I don’t know what happens next until I write it. For me, the best ideas and twists and turns of the mystery happen while I’m writing not when I’m thinking about writing. But I write a synopsis anyway. After sale, I start writing the book. I usually get about 30-50% into the book before I hit a brick wall and wonder where to take it next. That’s the point when I actually remember I had a synopsis. So I pull it out, realize that almost nothing that happened in the synopsis is happening in the book, and read through it trying to glean an idea, any idea at all how to get to the next step. If I can’t get to the next scene, then I think about later in the book. If I know something that happens later, I write that and then piece together all those independent scenes and create links to them from previously written scene. I have yet to manage a single book in linear fashion, but I keep trying. It would cut down on rewriting those later scenes. I am also a very lean writer. My entire goal with the rough draft is to capture plot (especially the details of the mystery plot) and dialogue. Then I do an entire review/edit of the rough draft to add description and emotion. Often, I find first rough draft characters standing around in an open void being shot at and feeling nothing about it. Hey, it’s a process, right? I let the book sit for at least two weeks after the second pass, then I read it again and tweak everything that needs it. Then it’s out to my critique partners. Make sure you have high conflict with the right characters. High conflict carries an entire book with an unlimited number of directions or actions. Weak conflict has you pushing constantly to find another way to drive the stakes higher. High conflict also grabs the reader from the beginning, and these days that’s more important than ever. Take my Ghost-in-Law series, for example. I’m a humor author but wanted to write something with a ghost. So I thought “who is the absolute worst person to be haunted by?” The answer was easy for me – your mother-in-law. And who is the absolute worst person to be haunted? A scientist who doesn’t believe in the paranormal. You see the conflict already? End your writing session mid-scene. That way, when you come back to writing, you already know what’s happening and can jump right in and get your “flow on.” If you stop a writing session at the end of a scene or chapter, then you’re looking at a blank page and have to think of what comes next, without the benefit of being entrenched in the story already. Put your characters are risk, but don’t let them get stupid. No one wants to read about the blonde that runs upstairs to escape the killer. Have your character be the blonde that jumps through a second-story window and runs for help. That’s interesting and a character the reader can get behind. Writer’s write. A wise person once told me that writers don’t “find” time to write, they “make” time to write. Make writing a priority and make it a consistent one. If you write consistently, you’ll find your mind goes automatically to the process when you open your manuscript. Stop caring what other people think. Now, I don’t mean you agent, editor and critique partners. You should never ignore professional advice, but I think Stephen King said it best when he said “If you want to be a writer, the last thing you should care about is polite society and what it thinks.” Write the truth. Stop thinking about who might read it and what they might say. Rest assured, someone will hate your book, and that shouldn’t bother you in the least. Obviously, they are not your market. Well, that’s all I’ve got after only two cups of coffee. Thanks to Janice for providing me with the opportunity to tell you how I work and what works for me. Maybe it will work for you. But don’t try that piece thing unless you’re desperate! As a fellow pantser, I really appreciated this post. I've tried outlining, but immediately went in another direction. I love the "What If?" part of the process. Thanks, guys! I'm glad you enjoyed the post. I always say there's no wrong way to write a book. What works for one may not work for you, and the only way we find out what works is to try different methods. 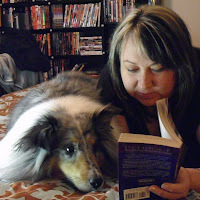 Each of my books were written slightly different than the ones before, so you never really stop learning and tweaking. Best of luck to all of you on your own manuscripts! Pantser, here. The most planning I do tends to be a few plot points to give me somewhere to aim. (I've written the end before hammering out the beginning, before.) Usually, that's with 3x5 cards... except if I'm on computer, for whatever reason Scrivener's Outliner function works out better. *shrug* Otherwise, planning just stifles me, and I can't see any way to do it except what I planned, even when the plan doesn't make sense. It's neat to see how other people write. I never know if I will find some jot of inspiration from someone. You have described my experience in writing my first piece of fiction almost exactly!